The Sarasota Tiger Bay Club began officially in 1982, faultered and then began anew in 1984 with Marj Baldwin at the helm as President and Moderator. 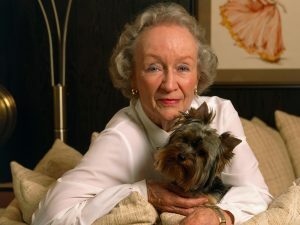 Marj retired in 2009 and passed away August 1, 2012. She was very proud of the club and kept up to date with the programs through her daughter Kim Noyes and Tiger members. With Marj’s retirement, the club began to rotate the moderator duties and the Board of Directors took on a greater responsibility for the programming of the panels. Kim Noyes now serves as Sarasota Tiger Bay Club President, working alongside the Board. In 2012, the Board voted, in honor of Marj Baldwin and her love for the community’s children and military, to award a $1,000 scholarship to a cadet of the Sarasota Military Academy. Tiger Bay Clubs are Florida-based political clubs. They are considered non-partisan. We are open to anyone interested in political dialogue and discussion. The Charter and By-Laws of the organization prevent it from endorsing candidates or taking sides in political campaigns. The original Tiger Bay club was founded in Tallahassee by Dan Cunningham in 1971 after meeting with then Governor Reubin Askew, who agreed there was a need for a new uniquely and specifically political organization instead of the usual civic organization. The first chapter’s first meeting was hosted by Governor Askew. The Tiger Bay Club began with the original purpose of providing a non-partisan forum on current political issues and listen to the views of newsmakers and leaders of the day. The club has never endorsed political candidates nor advocated a particular ideology. It has always welcomed groundbreaking ideas, passionate and insightful discussions; the more outrageous, the better. Humor, sharp introductions, and the occasional roasting of members and guests are the mark of a good meeting. If laughter is good medicine, then the members of the Sarasota Tiger Bay Club can expect to lead long lives.